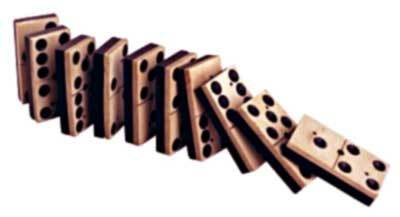 The Domino Affect - A Planetary Ascension Process and how it affects humanity. Over the past 20 years, the Star Elders have helped us understand the synchronistic connections between the shifts, the bumps, and the awakenings of the collective consciousness of humanity. These bumps we feel are a part of an ancient code that activates a divine plan that triggers a planetary ascension process. The Star Elders feel that the year 2008 is the year that we will manifest the shift of the ages which they predicted 10,000 years ago. The Star Elders say that enough people on the planet are working with enough light that we have been able to tip the balance of the darkness back into the light. So, it was no surprise to me that in the last few months of 2007, all the puzzle pieces came together regarding the affects of this planetary awakening of humanity. This is why our lives have felt . . . well . . . so darn discombobulated. The Star Elders humorously refer to this planetary ascension as the Domino Affect. Remember when you were a child, and you got that set a Dominos? Instead of playing the game, we all sat them up in a row, so when you knocked the first one down the others would quickly follow. This is why the Star Elders call this ascension process the domino affect. Because once you knock down the first domino, there is no stopping the rest from falling in succession. Such is our awakening process. Once we start the process to wake up, there is no turning back. You can't fail once you begin the journey. You can't slip back into darkness. It is impossible to unlearn the light. Let's say that again . . . It is impossible to unlearn the light!!! "Don't be distressed. You cannot lose it either." can neither be lost nor taken hold of. When I was in Palenque in 1990 (read the Palenque Story at http://www.alunajoy.com/2003jan.html), the Star Elders showed me the self-justifying creative force that the universe that was beginning to manifest on the planet. It manifests bit by bit. The more this energy washes over the planet, the more affect it has on humanity. Anything and everything that is exposed to this creative energy is literally forced to come back into alignment and in harmony with the laws of cosmic nature. 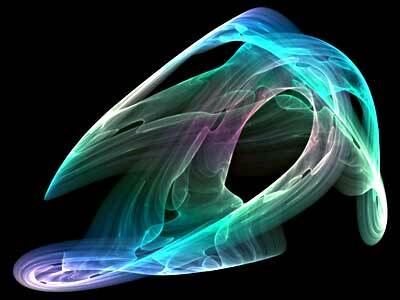 This energy can cause all kind of interesting weird and often times undiagnosable symptoms. An incredible amount of spiritual fuel is being used for this ascension process. We are literally being turned inside out and being pushed to the limit. Every ounce of our energy is being used. This is why we feel so incapable to cope with stress. The entire planet and every living thing is self-justifying right before our eyes. This is why we are feeling so much pressure in the world today. This is why we are so bored with life. This is why we are in such a hurry. This is why we are so confused. This is why our body is giving us such problems. "There are no guarantees. From the viewpoint of fear, none are strong enough. about a battle that was going on inside himself. guilt, resentment, inferiority, lies, false pride, superiority and ego. benevolence, empathy, generosity, truth, compassion and faith". When we cross the bridge far enough, we begin to BEND OUR LIGHT (read more on our web site here http://www.alunajoy.com/2007july.html). We will find that working in a linear manner is not happening at all at this stage. We will find that we feel scattered at our work, and become like a butterfly skipping between one focus and another. We feel compelled to do things that are not necessary or practical, and usually find ourselves doing the un-practical. We think we are wasting time, and then we feel guilty about this. We find ourselves in a cycle of re-scheduling, re-working, re-ordering, and re-organizing, because we need re-covery and re-vitalization. We need to re-focus and are screaming out for re-assignment. You will always do what you've always done. You will always think what you've always thought." not by how well my truth is received. ~ Jan Denise, "Naked Relationships"